A perfect read for the holiday season! One winter day, two penguins decide to make their very own snowman friend! 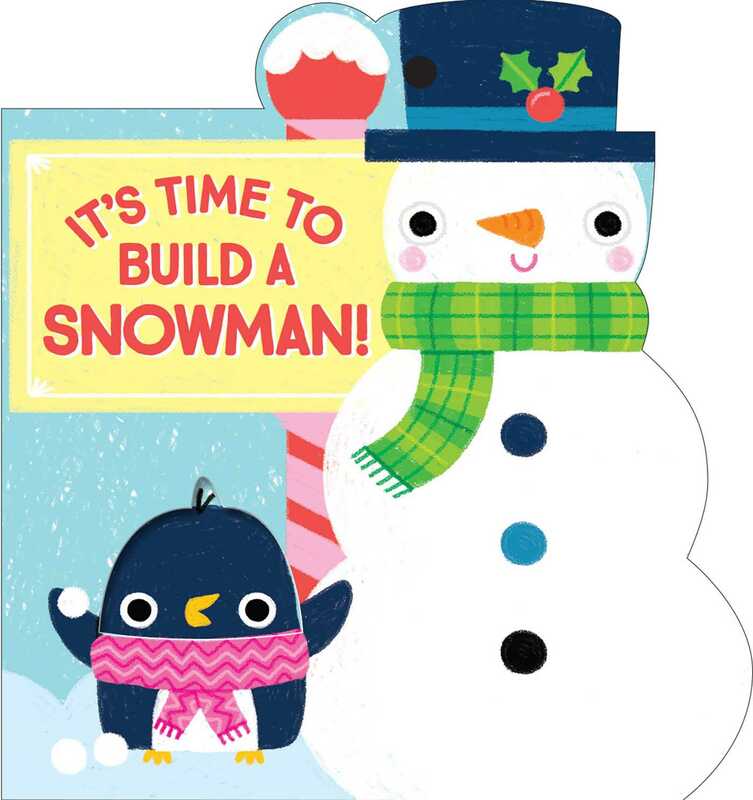 It’s Time to Build a Snowman is a small, adorable book with uniquely shaped pages that create a special layered effect. After enjoying the sweet story, kids can add it to the Christmas tree as an ornament! Lizzy Doyle is an illustrator, designer, and author from New Jersey. She loves making art for cool kids and quirky adults, while bringing smiles and laughter to people everywhere. Lizzy is inspired by animals, gardens, and all things cute. She is also an avid collector of oddities and antiques, and you'll never see her without tea in hand. Book Cover Image (jpg): It's Time to Build a Snowman!